Brian Patten's Can I Come Too? is full of creatures that you may never see in the wild (I don't know about you, but I certainly don't come across whales and tigers in my daily outings). But who says you can't make them at home or in the classroom? Start by tracing or drawing animal pictures onto your card stock. 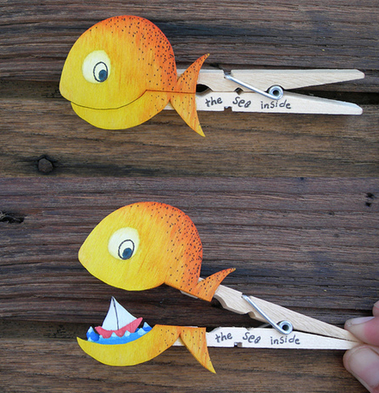 Make sure the mouth is horizontal and will line up with the clothespin openings. Color or decorate the animals in whatever way you choose. Be creative! 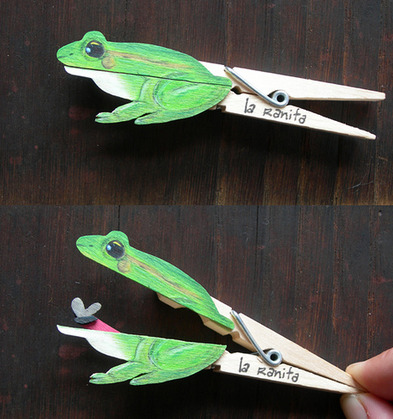 Cut out the animals and glue them to the sides of the clothespins. Make sure you have two different pieces to cut out, like in the pictures. Put on a show with your animals or hang them up around your room! Have fun! And if you do the craft, share it on social and tag us!